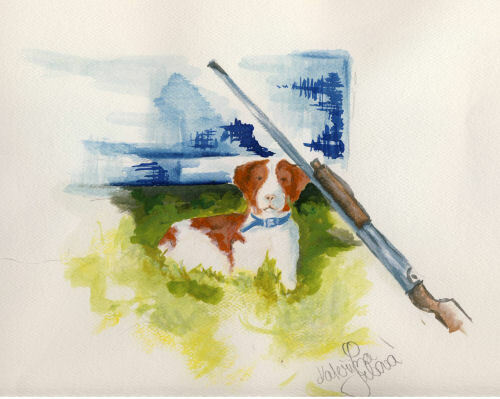 Wyndy fetching a Montana sharptail grouse This painting by one of my students, is of one of our Brittanys taking a short rest during a hunt. 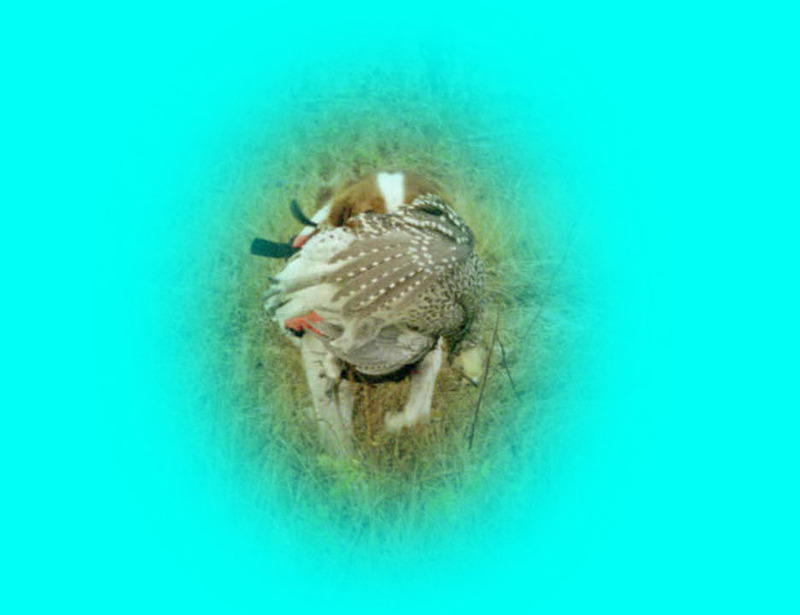 Brittanys are hunting dogs first and we hunt often! !